There is nothing sweeter to me than watching my students bond as they share a love of reading, writing, and learning. It's not uncommon in my room to see two or three kids huddled over a book on the floor, or giggling in the corner as they share their latest stories. One of the main reasons I love the Slice of Life Challenge is that it brings writers together in ways they never expected. 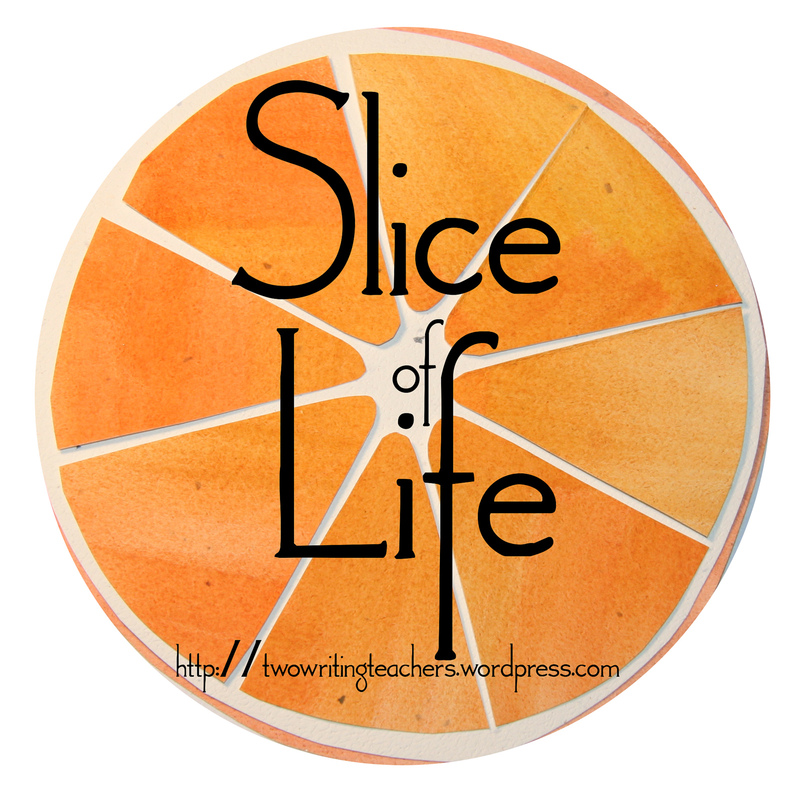 As I mentioned in yesterday's post, 3 classes in our school Skyped with Stacey from Two Writing Teachers about the Classroom Slice of Life Challenge. 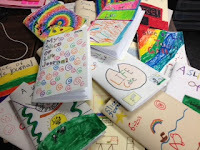 Today, the kids came in clamoring for their new journals. Markers, colored pencils, crayons, math templates, and pencils were scattered all over the room as the kids sprawled here and there to create their journals. As you can see in the above picture, the journal covers are as varied and unique as the kids. The room was filled with chatter as the kids shared their ideas for their covers. We have a circle of life with a slice taken out, a cover filled with all the things this boy likes to do (I'm thinking there are some topics on his cover), rainbows and swirls. Several of the kids already have ideas for their entries. It was fun listening in as they shared some of their ideas. I'm looking forward to sharing this experience with my 27 young writers. What makes it even more special is that 3 of my friends, (who happen to be my colleagues), are bringing their kids along for the journey too. And then there's our principal...what a great opportunity for our students to get to know their principal as a writer. I can't wait to see the ways we all grow together and the connections we make outside our classroom walls. 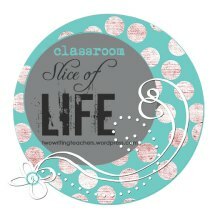 Thank you to Ruth and Stacey of Two Writing Teachers for hosting Slice of Life Tuesdays. You can read other slices from this week here. I encourage you to join us in this great adventure! We are joining Cathy Mere, Mandy Robek, and Julie Balen in celebrating #nf10for10. I began thinking about my favorite nonfiction books a couple of weeks ago and I didn't know if I could narrow it down to 10. So, instead, I decided I would focus on some of the new nonfiction that I've added to my classroom this school year. Check out Cathy's blog for links to all the other blogs participating in #nf10for10. 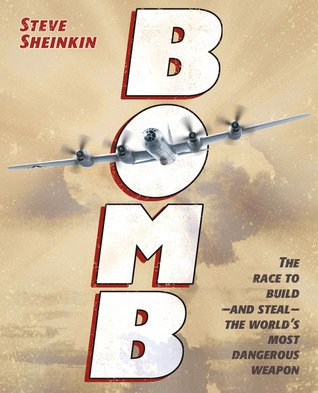 Bomb: The Race to Build -- And Steal -- The World's Most Dangerous Weapon: Steve Sheinkin won the Newberry Honor Award for this wonderful book. Told in narrative, the book gives the reader a glimpse into the race between the US, Norway, and the Soviet Union to build the atomic bomb. 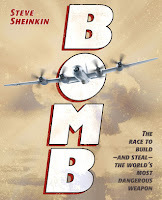 I learned about espionage, the science behind the making of the bomb, and so many interesting characters. 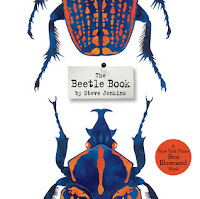 The Beetle Book: Steve Jenkins is one of my favorite authors. His books are always favorites of my students' and this one follows suit. The first line, "Line up every plant and animal on earth...and one of every four will be a beetle," catches the readers' attention immediately. Information about beetles' senses, life cycles, defenses, and communication is written in short paragraphs next to beautifully detailed collage illustrations of the different beetles. This book is always in somebody's hands. I've discovered Scientists in the Field Series this year thanks to Franki Sibberson and Goodreads. The latest edition is The Hive Detectives: Chronicle of A Bee Catastrophe. The kids clamored over who would get it first as I opened the Amazon box. 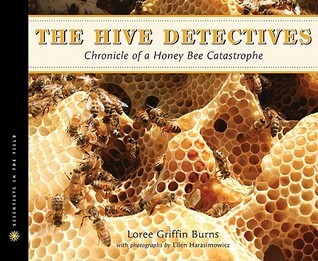 This book, full of amazing photography, chronicles the study of scientists around the world as they try to figure out why bee colonies are disappearing. There are many interesting facts about bees that will keep readers going back for more information. 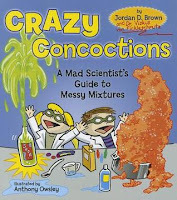 Crazy Concoctions: A Mad Scientist's Guide to Messy Mixtures by Jordan D. Brown made it into my classroom because we are beginning our Science unit on matter. 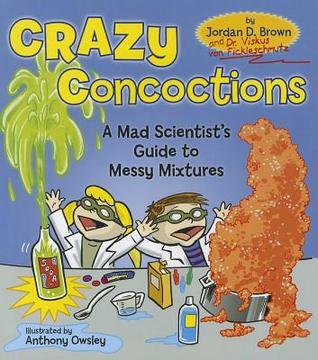 This book, full of science experiments, scientific explanations, and a lot of humor is going to get a lot of use in our classroom. 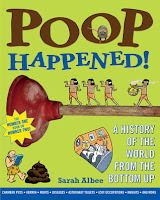 Nic Bishop's books are also favorites in my classroom. 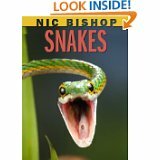 We received Nic Bishop Snakes as a gift. The photography is stunning and the factual information is fascinating. This book is never in the Reptile basket because it's always in somebody's hands. I have a couple of boys doing research on snakes and I know this book will be very useful. 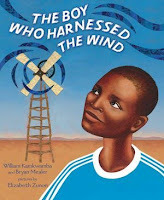 I got The Boy Who Harnessed the Wind after reading about it on Goodreads. We began the school year with a focus on making a difference and I looked for books about people (especially children) who made a difference in their communities. 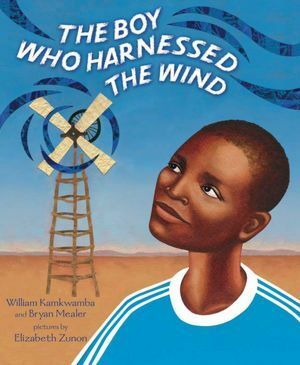 When William Kamkwamba's Malawi village was hit by drought, the community's crops began to fail. He spent hours in the library and eventually devised a plan to harness electricity. He build a windmill using junk parts. Because of his work, windmills were installed and crops in the village received much needed irrigation. I have always had an interest in Helen Keller and her teacher Annie Sullivan. That's probably one of the reasons I went into deaf education as an undergrad. 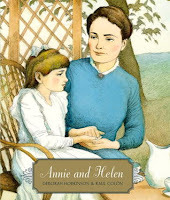 Annie and Helen by Deborah Hopkinson is a beautiful book that tells the story of the relationship between Helen and Annie. What makes this book unique is the excerpts from letters Annie wrote to those back home that tell about her struggles with Helen. This is just one more picture biography I've added to my library this year. 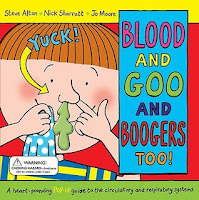 The next two books found a place in our classroom library when we were studying the digestive system. 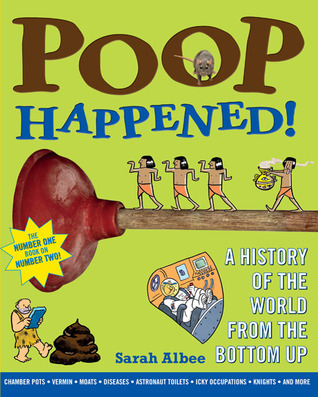 As you can imagine, anything with the word "poop" and "boogers" in it, is very popular with fourth graders. 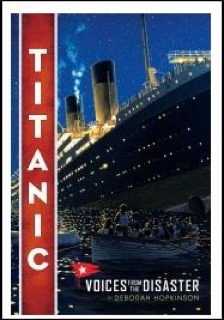 I got Titanic: Voices from the Disaster for one of my boys who is an expert on the Titanic (and other ships). The book is filled with old photographs and stories from the survivors. Again, the narrative draws the reader into this time in history. When I first read about Digital Learning Day on Twitter, I was so excited. We use technology in our classroom a lot, I'm involved in the Teacher Leadership in Teaching Digital Writing class with the Columbus Area Writing Project, and I'm always looking for new and authentic ways to use digital literacies in my room. Imagine my disappointment when I realized that I had 2 dings against me on February 6th. I had a half day professional development today AND all the laptop carts were signed out. 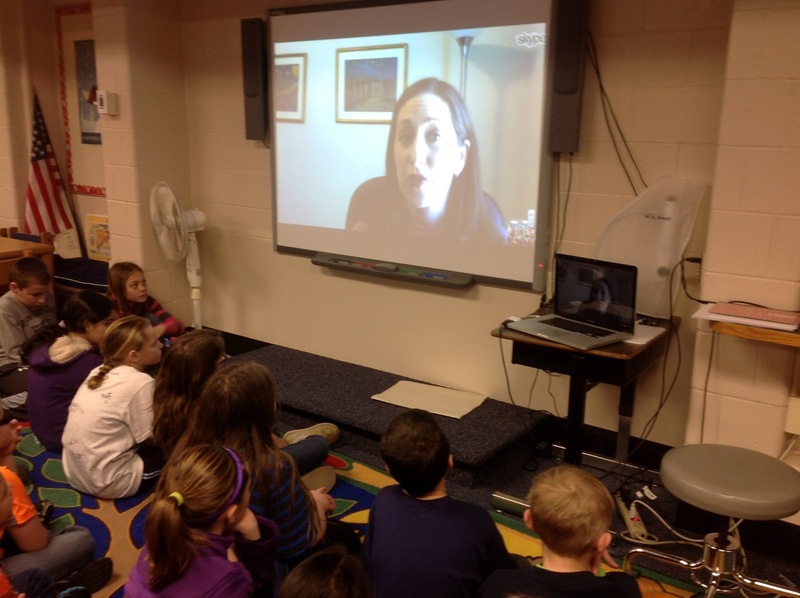 Not to be deterred, I decided that #DLDay could be any day this week in our classroom. After checking the availability of computers, I planned our day for Monday. The whole day was going to be devoted to our digital project. Since we are currently working on homophones, and my kids love teaching new things to their second grade buddies, I decided that we would combine these 2 elements with technology. My goal was to create a mini-PBL lesson that included an authentic task for an authentic audience. 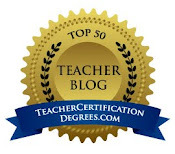 You can view the lesson on Google Docs here. 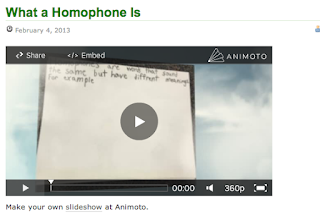 Last week, you learned about homophones: words that sound the same, but have different meanings. Sometimes the words are spelled the same, and sometimes they are not. 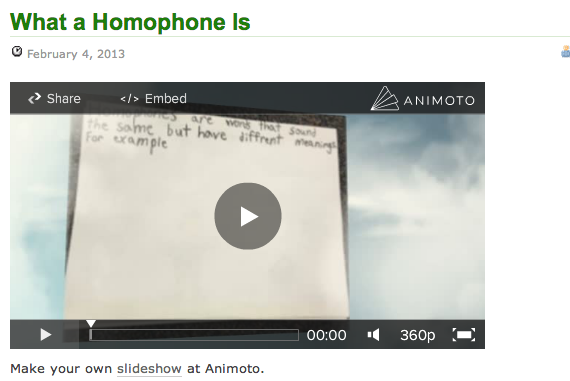 Mrs. Wemp has asked us to create a presentation about homophones to share with our second grade buddies. In addition, your presentation needs to include a way for your buddies to interact with what you create. 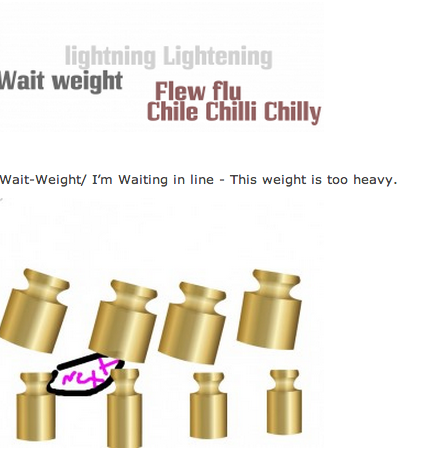 They might add a comment, add their own homophones to your work, or anything else you think will show their learning. You will work with a small group to create your presentation. We divided into groups depending on the type of project each child wanted to create...Voice Thread, Animoto, Blog, Skit posted as a podcast, and a traditional print book. The room was buzzing with excitement. The kids got to work right away planning their work. I listened in to thoughtful conversations about which words would be best for second graders to learn, and how they could best represent those words. As we moved around the room talking to the kids about their plans, Ms. Moore, who was team teaching with me, and I were very impressed with the thinking involved in each project. Watch our video to see the work that went into our projects. Over the next few days, I'll be posting our finished work.